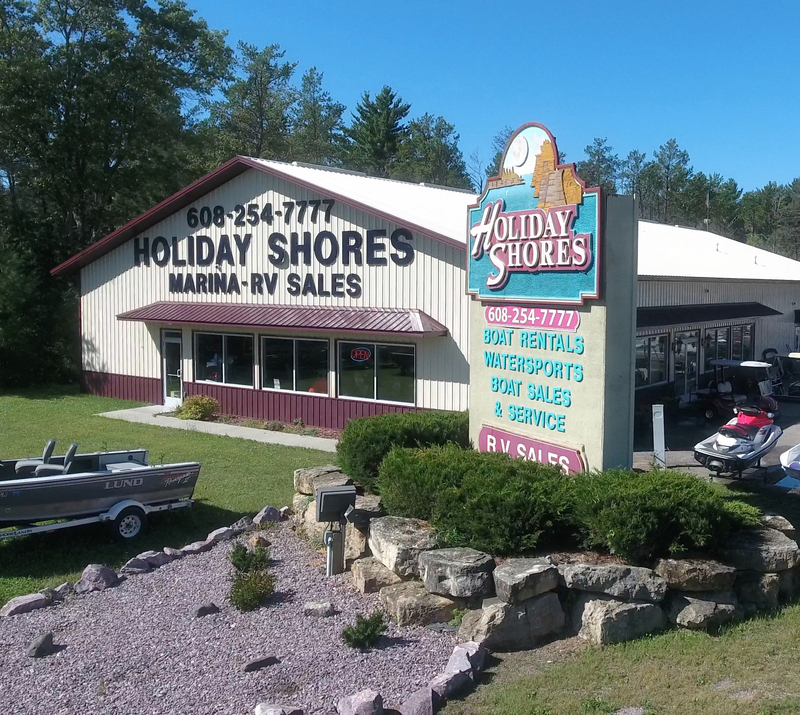 Holiday Shores WaterSports is your Wisconsin Dells boat rental headquarters! Enjoy our well-maintained ski and pontoon boat rentals and waverunner tours. Come visit our watersports shop with everything your family needs for their own watersports adventure. Looking to own? Holiday Shores is an authorized dealer for many major names. Our Marina is located only 4 miles from downtown Wisconsin Dells and 3 miles by river. We offer a wide variety of watercrafts available to make your visit to Holiday Shores fun and relaxing! 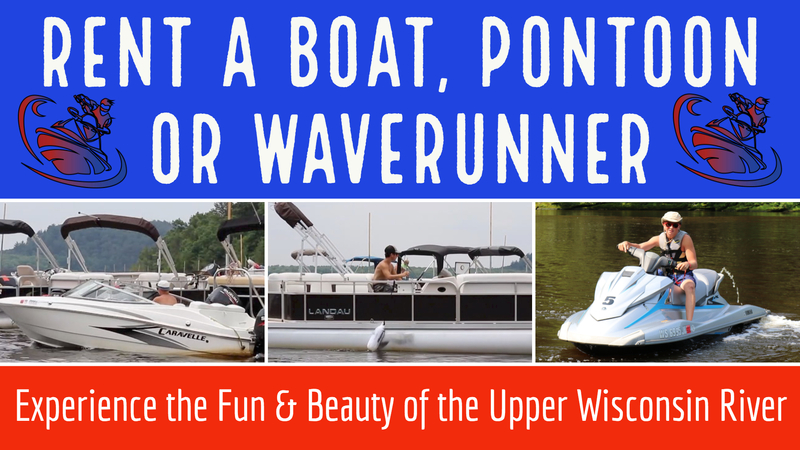 WaveRunners are a fun & exciting way to enjoy the bay area of the Upper Wisconsin River! Rent one today! Prices subject to fuel surcharge. Security Deposit required on all rentals. NO SHUTTLING/SWITCHING OF PASSENGERS. 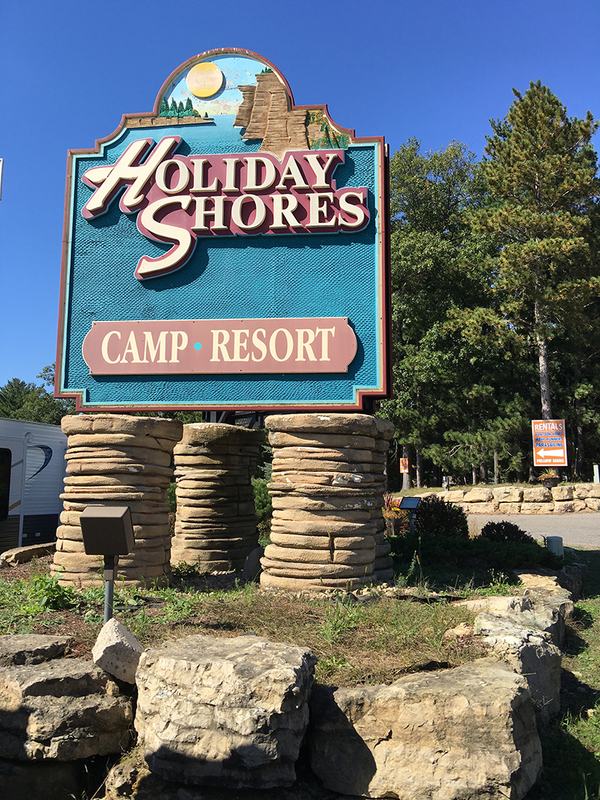 Holiday Shores now offers guests a unique way to tour the Upper Wisconsin Dells River. Book a guided tour for an in-depth look at the history, rock formations and beauty of the river. The beautiful Upper Wisconsin River has awesome boating, tubing & skiing! 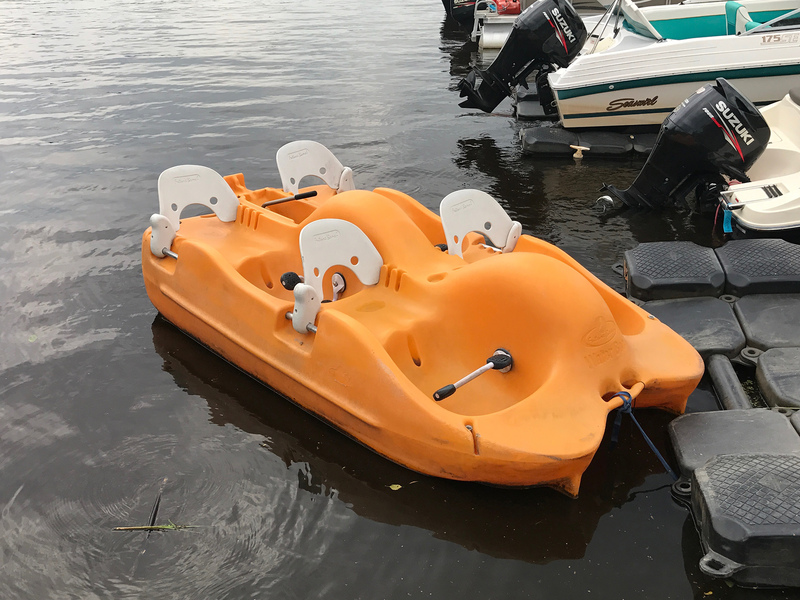 Have a blast in the river in one of our ski boats or pleasure boats. Prices subject to fuel surcharge. Security Deposit required on all rentals. The entire family and even your dog will have a blast cruising the scenic Upper Wisconsin River. Enjoy the comfortable, spacious ride while experiencing all that the river has to offer… Endless fun for the whole family and memories guaranteed to fill up your camera space! Beautiful rock formations, towering pines, sandy beaches & lush landscapes have made the scenic Upper Wisconsin River world famous and one of the best places to paddle in the country! Stay a little closer to shore in these fun watercraft options. For yourself or multiple riders, Pedal Boats, Paddle Boards and Row Boats are a perfect way to spend an afternoon. 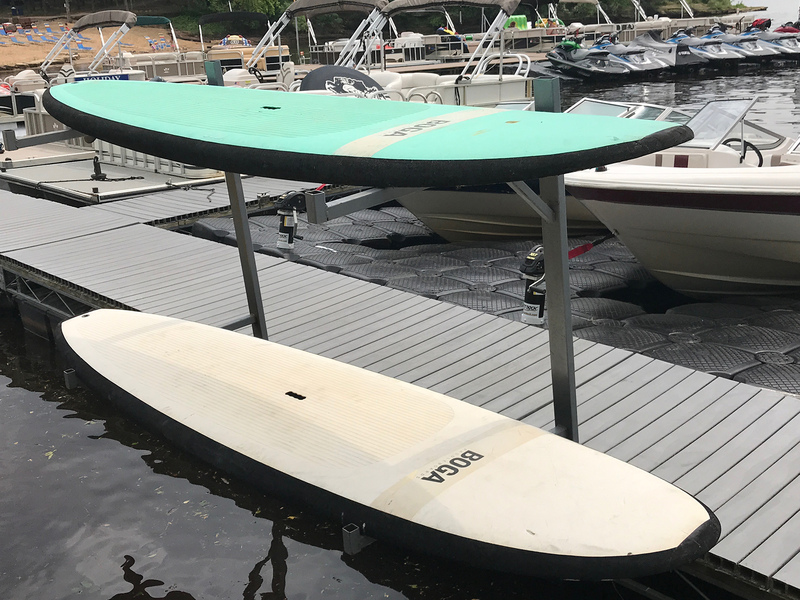 Holiday Shores Watersports offers boaters access to the Upper Wisconsin river from our boat ramp. We also offer rental slips and gas for sale right on the river. Stop by our watersports store for beach wear, sunscreen, bait, fishing & boating gear and more. We also have a snack shop and convenience store for all your food, drink & ice needs! It’s all right here… your one stop fun spot! May 4, 2018 & ends October 1, 2018. Our Sales & Service Center is located at the entrance to Holiday Shores Campground & Resort. Visit our showroom to browse new & used boats, fishing boats, pontoons, jet skis & wave runners. We are certified dealers for Yamaha, Landau & Crestliner. 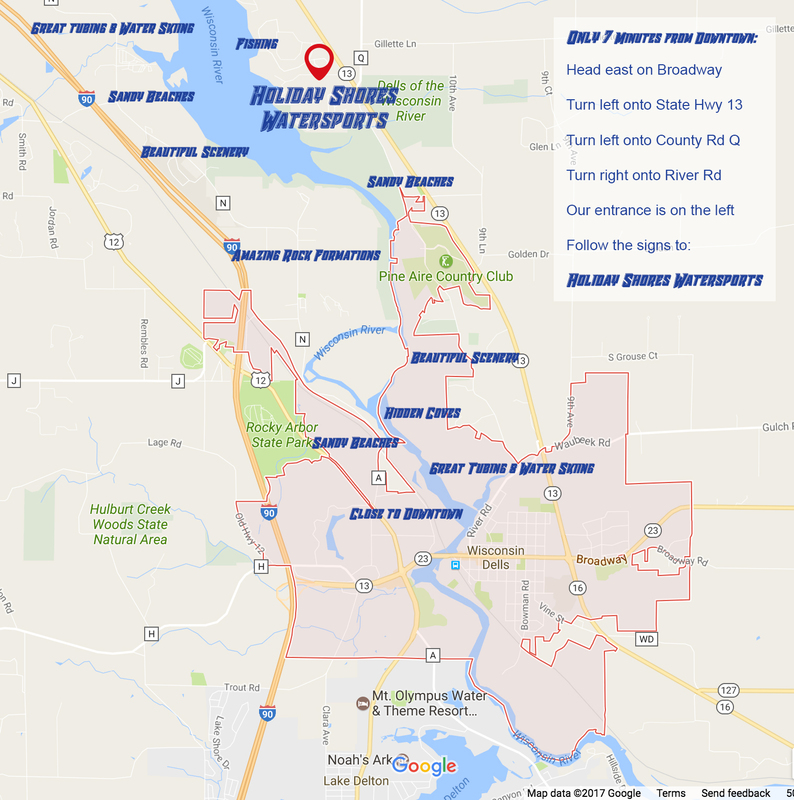 Located just up the hill from the boat launch & docks, it is a convenient location for boat, pontoon, wave runner & jet ski service and repairs as well. We also offer winterizing, shrink wrapping, indoor & outdoor storage. Looking for parts & accessories? We’ve got you covered. Visit our giant wall of boat & RV accessories in our Sales & Service Center. For all your Boat & RV sales & service needs, contact us at (608) 254-7777 or stop in to see us!